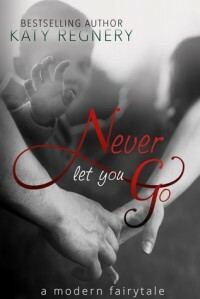 Never Let You Go is the second book in Kate Regnery’s A Modern Fairytale series. I became a fan of this author when I read book one in this series, The Vixen and the Vet. Needless to say, I was highly anticipating this book. While I did find that this book had darker undertones than the first book, it still turned out to be a sweet and emotional tale of love that not only tugged at my heart-strings but also had my lady bits dancing for joy. This is a story about love that goes beyond the surface, love that is soul deep. The most beautiful and wondrous things in life sometimes come at us when life itself is beyond cruel. However, it is up to us to embrace that love and also allow it to transform you. 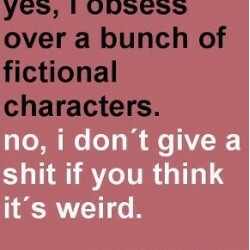 I have to start by saying that I absolutely adore fairytales. The beautiful stories take me back to my childhood when I first began to fall in love with reading and books. Therefore, a series where each book is a modern re-telling of a classic fairytale is right up my alley. This book is loosely based on Hansel and Gretel. I love how Ms. Regnery has taken one of the more somber tales and transformed it into a gripping and edgy tale that grabbed hold of my heart right from the very first page. Griselda and Holden meet as foster children when they are placed with the same family. There they develop a profound and unbreakable bond. They get abducted one day while they are out running an errand for their foster mother and what ensues is three years of horrific and abusive confinement at the hands of a despicable psychopath. Griselda and Holden get their chance to escape one fateful day but must cross the unmerciful Shenandoah River on foot to be successful in their attempt. Heartbreakingly, one of them makes it across while the other is left behind, their lives forever changed irrevocably. Ten years later and Griselda still holds on to the hope that she will one day find Holden once again. She has managed to somehow make a life for herself even if it is one where she feels like she must pay penance. Griselda is in a destructive and abusive relationship with someone she feels she deserves. With heavy chains from her past crippling her and dragging her down, happiness is something that feels so far out of reach for her, at least not until she finds Holden. When Griselda’s boyfriend drags her to an underground fight her world suddenly stops when she discovers that Holden is one of the fighters. Holden has spent the last ten years of his life believing that Griselda had died that one fateful day. He’s an empty shell living a life where fighting and copious amounts of nameless women are simply a part of who he has become. Held back by his stammer and quiet persona, Holden’s existence has become a depressing and lonely one. When Griselda and Holden finally encounter one another again there is an instant and profound connection, one that has never been severed despite their years apart. However, although their connection is fierce and intense, ten years have passed and Griselda and Holden are no longer the same people they once were when they were young teens. They are both hardened, marked by tragedy, profoundly broken and have numerous emotional scars that threaten to stand between them. They may have found each other after so many years of regret and uncertainty, but now that they are standing before one another are they strong enough to confront the brokenness, the pain, the bitterness, the guilt? This is a beautifully written and tender story. As this romantic tale of love unfolded, I couldn’t help but get caught up in all that Holden and Griselda were experiencing. Their intense feelings for one another were so beautifully breathtaking and all that they had endured shattered my heart into a million pieces. These are two people who share a deep love and a soulful connection. I thought that this book was well-paced never once making me think that things were moving too fast or not at all. Even though Ms. Regnery made some plot choices that I could have lived without, I still feel like the love story between Griselda and Holden was desolately tragic, full of weighty sadness, and yet it was one that was also full of wonder and hope. I felt their connection. I experienced their love. A beautifully tragic journey. All in all, Never Let You Go is a powerful story about fear, defeat, survival, hope and love. The power of love is inexplicable at times. After all, it has the power to heal and make you whole. This is definitely a story that grabbed a hold of my heart, painfully at times. It is one that will not be easily forgotten. I am most certainly looking forward to more when it comes to this series. The next book entitled Ginger’s Heart is due to be released winter of 2015/2016. I can’t wait! ****An advance reading copy of Never Let You Go: A Modern Fairytale by Kate Regnery was generously provided to me in exchange for an honest review.